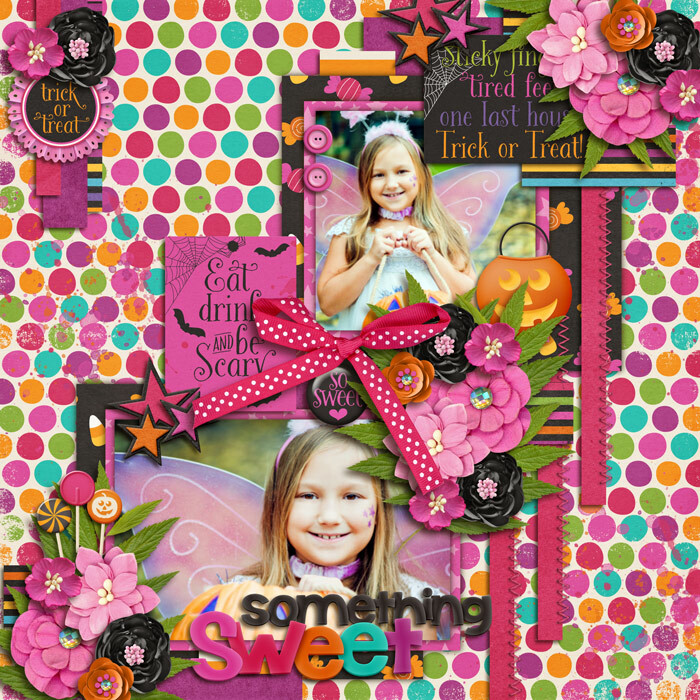 Designed to coordinate with my Halloween Collection Kits (Eek-A-Boo, Monster Mash, Ready, Set, Glow! 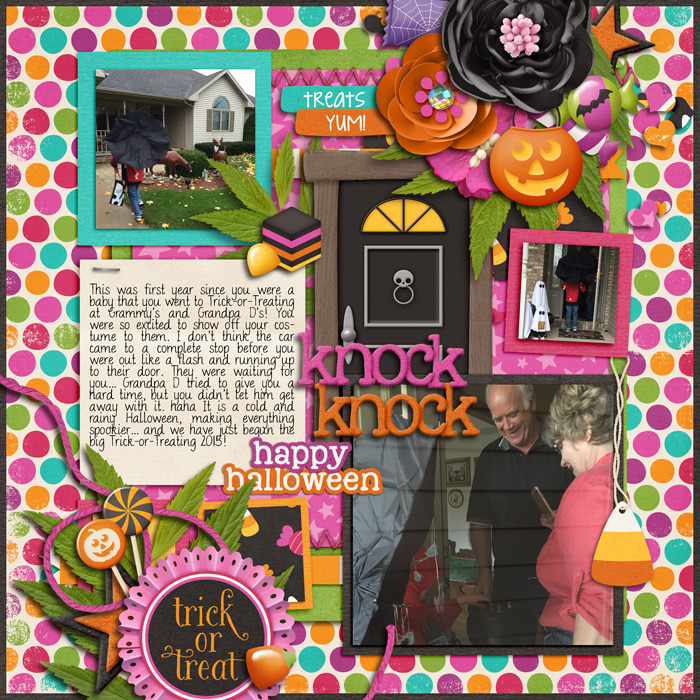 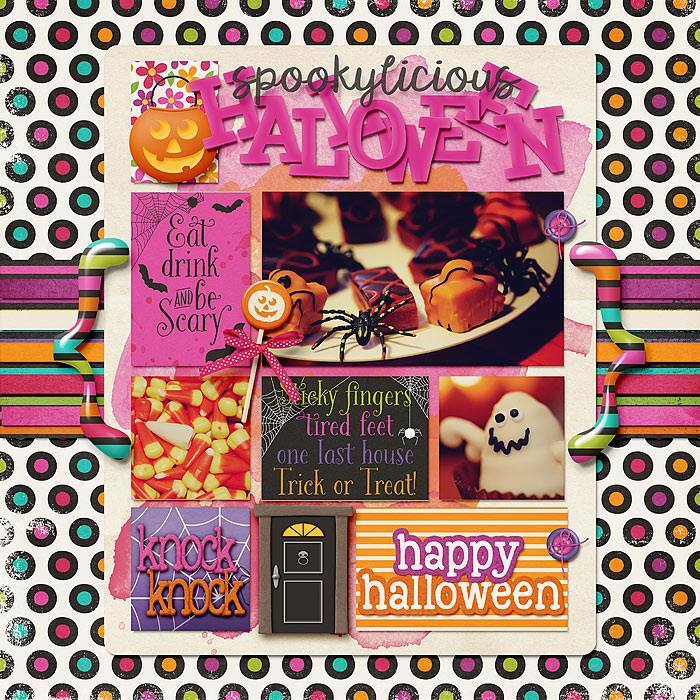 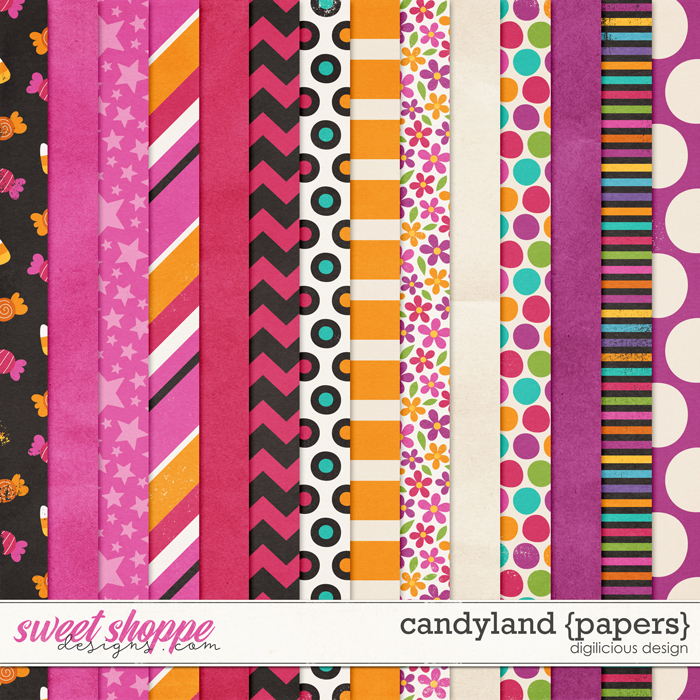 & extras), this pack is perfect for all Halloween themed projects! 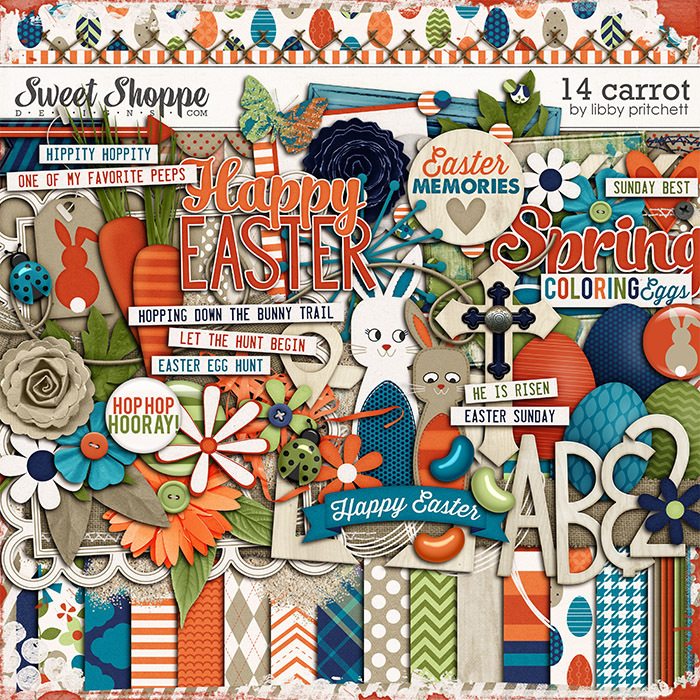 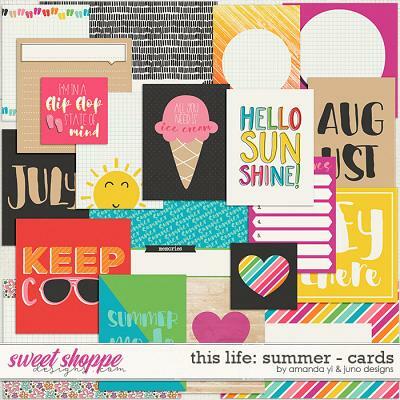 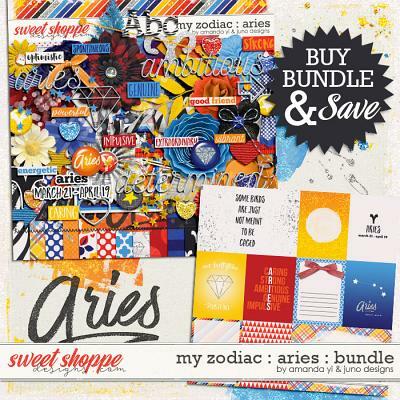 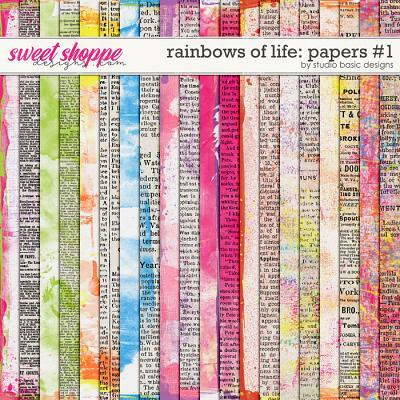 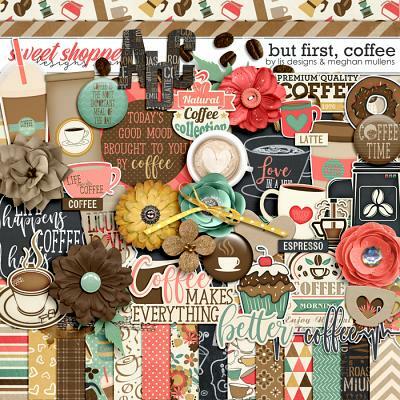 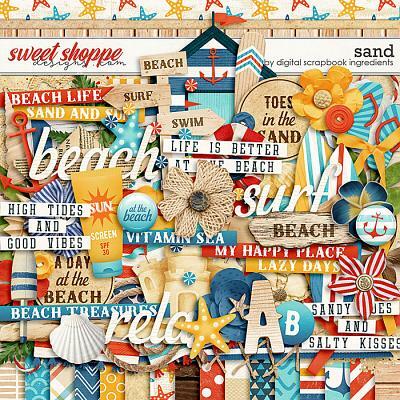 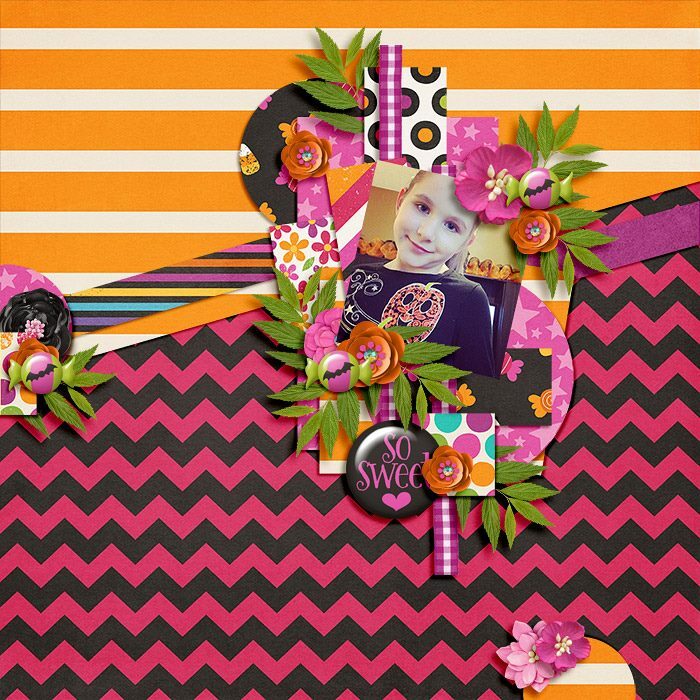 60+ Elements, including themed illustrations (candy, door), cards, frames, flair, string, ribbons and bows, tabs, journals, buttons, paint, flowers and so much more!